DALLAS, April 15, 2019 /PRNewswire/ -- DataBank, a leading provider of enterprise-class data center, connectivity, managed services and cloud solutions, announces today the grand opening of KC3, a Tier III data center facility in the growing Kansas City market. The grand opening event, set for May 15th, will feature Eddie Kennison, former Kansas City Chiefs wide receiver, who will offer wine tastings from his Barrel 87 Club. In addition, DataBank will have a raffle, food, and opportunities to network with business leaders. Group tours of the new world class data center will also be available. 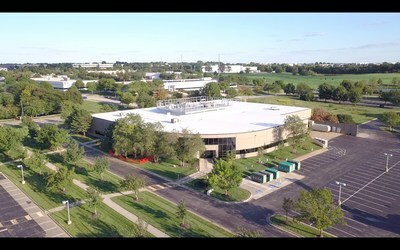 KC3 is DataBank's third data center location in the greater Kansas City area, completing a high-speed optical metro transport ring in a region with growing demands for connectivity. With private fiber rings linking KC3 to DataBank's KC1 and KC2 facilities, plus large carrier hotels in the market, KC3 provides optimal connectivity to the region. "Kansas City is quite literally at the center of the country's growing national market for data center services and solutions," comments Raul K Martynek, CEO of DataBank. "The grand opening of KC3 cements our commitment of providing the highest quality infrastructure solutions and customer support to an area that is home to notable corporate HQs and leading enterprises." KC3 also meets stringent, secure and compliant solutions for mission critical businesses, including HIPAA, PCI-DSS, SSAE-18, and GDPR. DataBank customers can leverage onsite amenities including a loading dock, office workspace, conference rooms, client labs, tech space, secure storage, break room and staging areas. The site will be staffed with 24x7 on-site security and operations teams. KC3 offers customers direct access to the DataBank's CloudPlus® platform, as well as a full suite of managed services, disaster recovery and storage offerings.